To worlds. One Dream. IMG: Facebook via EIF. We often profile celebrities like Beyoncé Knowles, Shakira, and Ryan Gosling, who have spearheaded many philanthropic projects to raise funds for charities they care about it. One organization that seeks to unite high profile entertainers and celebrities is called the Entertainment Industry Foundation, a blanket organization for Hollywood’s biggest givers. The Entertainment Industry Foundation (EIF) is considered to be “Hollywood’s leading charity,” and was created by industry heavyweights Samuel Goldwyn, Humphrey Bogart, James Cagney, and the Warner Brothers in 1942. EIF “harnesses the collective power of the entire industry to raise awareness and funds for critical health, educational and social issues in order to make a positive impact in our community and throughout the nation,” explains the organization. 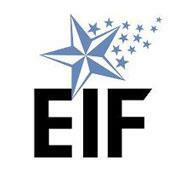 With an annual charitable budget of more than $100 million, EIF’s impact is huge. 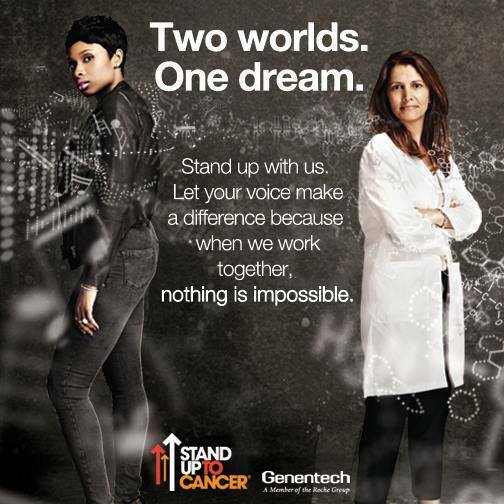 Currently, EIF supports many charitable organizations including Stand Up To Cancer, Hunger Is, Rise and Honor, and The Julian D. King Gift Foundation. EIF has also created many of its own social change initiatives such as its Women’s Cancer Programs, The Broadway Education Project, and the National Colorectal Cancer Research Alliance. With a huge emphasis on the arts, cancer research, and education, EIF has attracted some of the biggest names in the entertainment industry who have used their star power to raise vital funds for incredible causes. Viola Davis, Robin Roberts, Meryl Streep, Giada De Laurentiis, The Black Eyed Peas, Halle Berry, and Rihanna are just a handful of the famous figures that have supported causes through EIF recently. In addition to the celebrity donors and partners EIF works with, the organization has historically received donations from dozens of major U.S. companies as well. MasterCard, Major League Baseball, Revlon, The Safeway Foundation, AARP, and United Healthcare are some of EIF’s longtime donors, and have definitely helped the charitable organization make such a significant impact. Learn more about EIF’s work by visiting www.eifoundation.org.